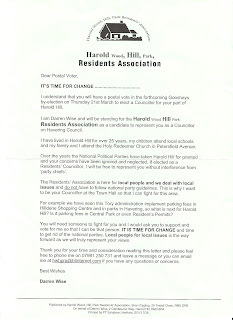 HAVERING ...Meh: Vote #DarrenWise4Gooshays - "It's time for change"
Vote #DarrenWise4Gooshays - "It's time for change"
In the last of my articles reviewing all the candidates for tomorrow’s by-election in Gooshays, you’re going read why I believe Darren Wise is the best person to represent Harold Hill, and why you should get people to vote for him and the Harold Wood, Hill and Park Residents’ Association. Unlike all the other candidates, Darren - who isn’t a councillor - helps local residents all year round when they need help. One of Darren’s bigger achievements happened in August 2011 when the council wanted to install a telephone mast on a green area outside peoples’ homes. 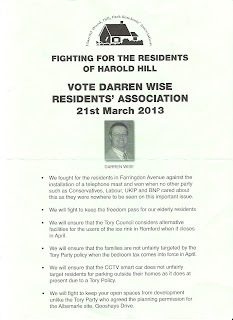 When residents objected, Darren took their case to Havering Town Hall and won. None of the other parties were even involved. 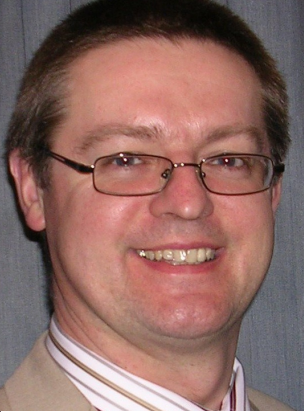 Unlike all the other candidates, Darren has powerful allies in the council chamber in the form of the Residents’ Association (RA) group. This group is the main opposition to the Conservatives, the latter of which has ignored Harold Hill since they came to office. The Labour group is small and ineffective. And if other parties like the BNP or UKIP got in, they would be isolated even further. And unlike all the other candidates, Darren has never been afraid to speak his mind and reflect the will of the residents. This is because the other candidates have what is called a party whip. This basically means your councillor may not be able to help you because they are bound by what their party tells them to do. This is what a vote for Labour, the BNP or the Conservatives would bring. 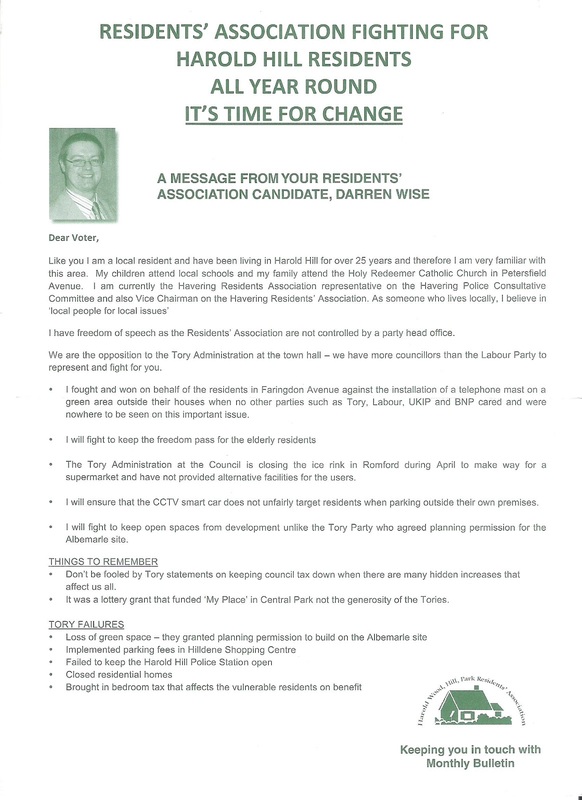 In Darren’s case, this will never happen because the RA group does not have a party whip, and is therefore exclusively accountable to residents only – no-one else. I am proud to be part of Darren’s campaign team. I chose to join the RA simply because they put principle before party. 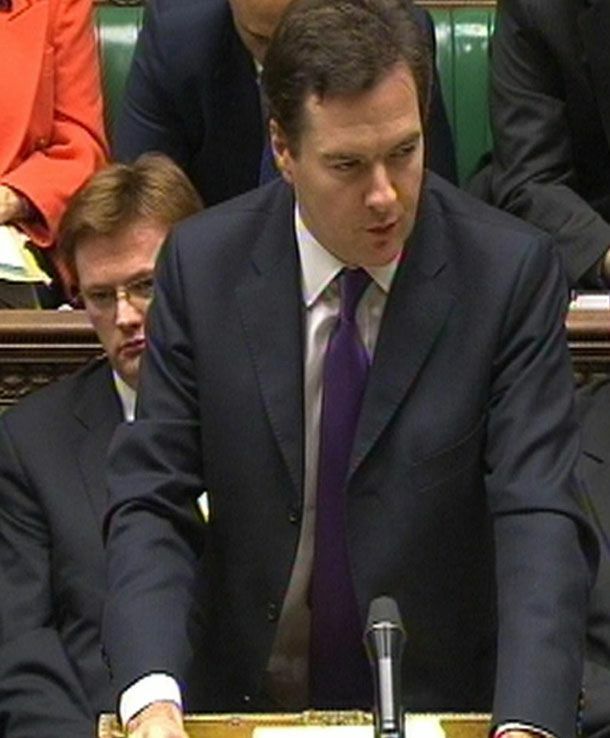 Today we heard George Osborne announce in the Budget that the economy is still in dire straits and it’s not getting any better. We also heard Ed Miliband criticise Osborne as if his party is completely blameless for the mess we’re in. 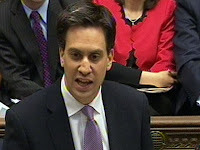 Both Labour and Conservative parties have let the country down because they don’t have the national interest at heart. At Havering council, the RA group proposed an alternative budget which would have given more money to support voluntary groups, local businesses and also introduced free parking for residents at council-owned car parks. Instead, the Conservatives introduced parking charges at Hilldene shopping centre. All Conservative councillors voted against the RA proposals because – like David Cameron and his cabinet of millionaires – the Tories in Havering are detached from ordinary people’s lives. 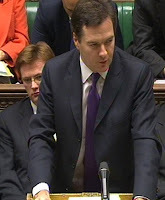 They also voted against the RA’s proposal to cut their allowances, which would have saved council tax payers £200,000. 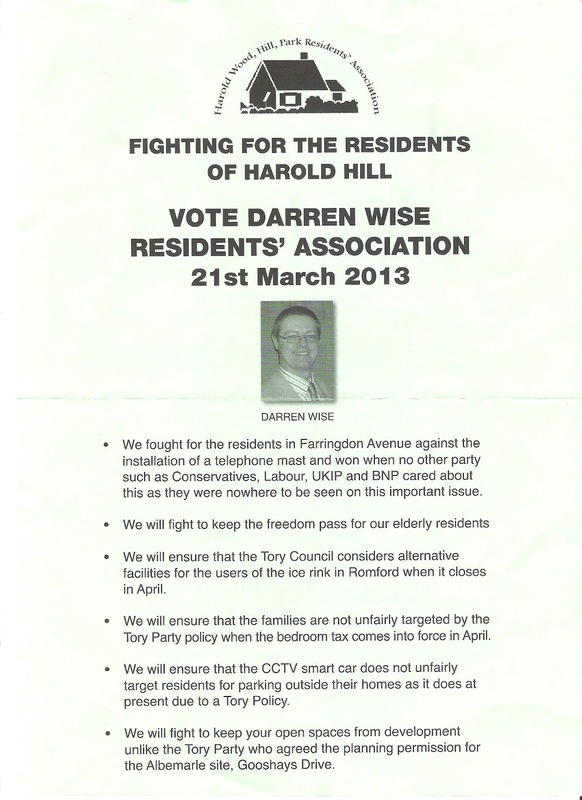 Darren has been working tirelessly for the people of Harold Hill all year round, not just at election time. People are sick of the promises that party politicians make. Scandal after scandal involving greedy MPs, corrupt police and ruthless media barons in each other’s pockets has ensured a generation of people disgusted by the political system. 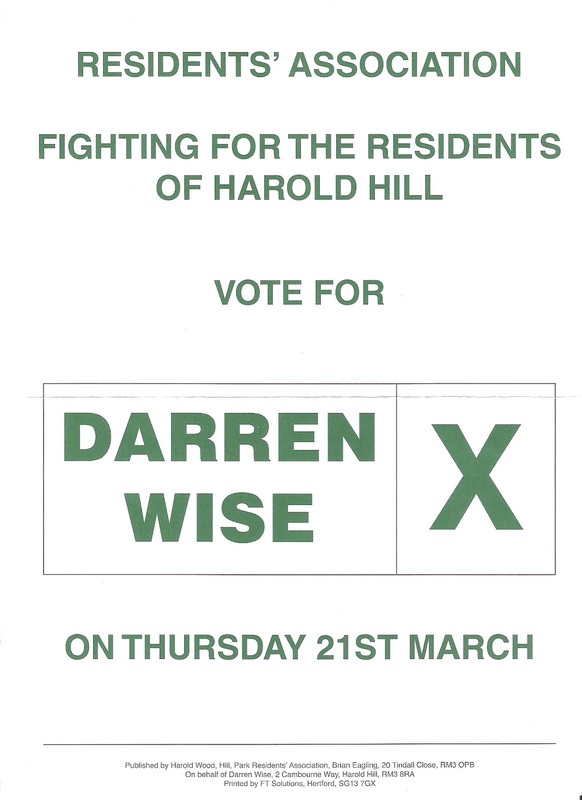 Darren Wise and the Harold Wood, Hill and Park Residents’ Association bring a new kind of politics – one of cooperation, independent thinking and serving the needs of local people. Please use your vote wisely (get it?) and vote Darren Wise as your new Havering ward councillor. 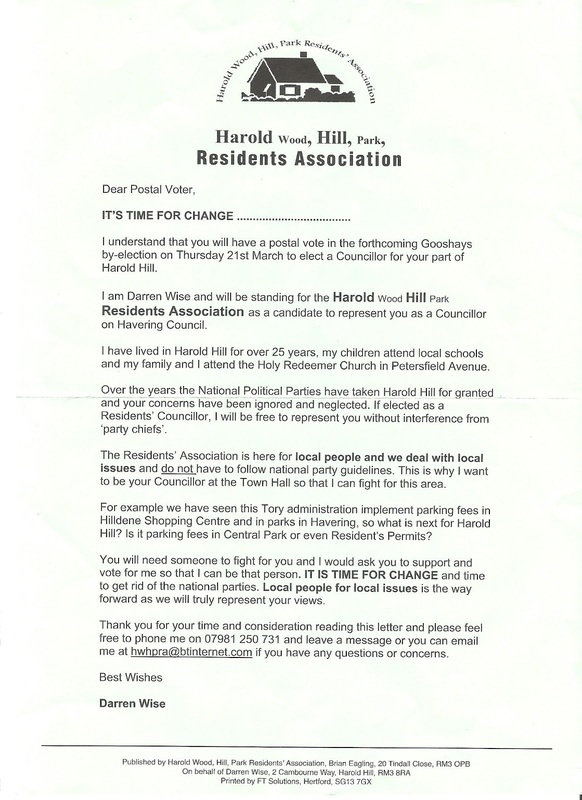 It’s time to give Harold Hill a new hope - It’s time for change! This concludes my review of all the candidates standing in the 2013 Gooshays by-election. I will be at Havering Town Hall from 9.30pm on Thursday 21st to tweet you the results. I will also be counting so don’t expect many (if any) tweets initially. Follow me on Twitter @HaveringMeh. If you live in Harold Hill (Gooshays ward) and your name is on the electoral register, you should have received a polling card telling you where your local polling station is. If not, call the council on 01708 432444. Polling stations are open from 7am to 10pm, so please get out there and cast your ballot! After the winner is announced, I will be writing a full analysis of the result, explaining what it means politically.